The House of Savoy (Italian: Casa Savoia) is one of the oldest royal families in the world, being founded in year 1003 in the historical Savoy region. Through gradual expansion, it grew from ruling a small county in that region to the attainment of kingly dignity (Sicily) in 1713. 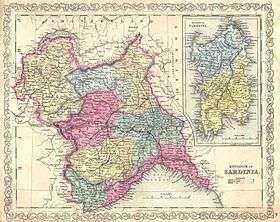 Through its junior branch, the House of Savoy-Carignano, it led the unification of Italy in 1861 and ruled the Kingdom of Italy from 1861 until the end of World War II and, briefly, the Kingdom of Spain in the 19th century. The Savoyard kings of Italy were Victor Emmanuel II, Umberto I, Victor Emmanuel III, and Umberto II. 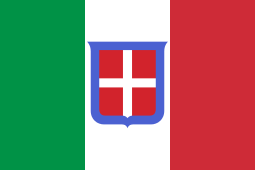 The last monarch ruled for a few weeks before being deposed following the Constitutional Referendum of 1946, after which the Italian Republic was proclaimed. The name derives from the historical region Savoy in the Alpine region between what is now France and Italy. Over time, the House of Savoy expanded its territory and influence through judicious marriages and international diplomacy. 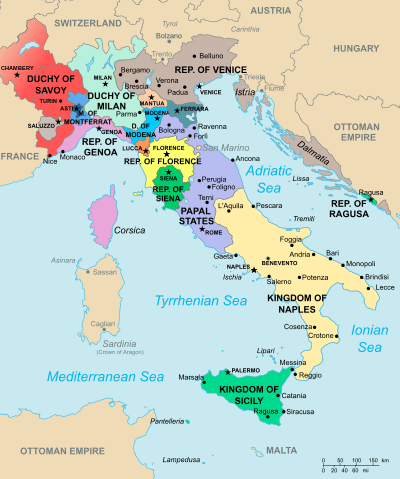 From rule of a small region on the French/Italian border, the dynasty's realm included nearly all of the Italian Peninsula by the time of its deposition. The house descended from Humbert I, Count of Sabaudia (Umberto I "Biancamano"), (1003–1047 or 1048). Humbert's family are thought to have originated from near Magdeburg in Saxony, with the earliest recording of the family being two 10th century brothers, Amadeus and Humbert. Though Sabaudia was originally a poor county, later counts were diplomatically skilled, and gained control over strategic mountain passes in the Alps. Two of Humbert's sons were bishops at the Abbey of Saint Maurice on the River Rhone east of Lake Geneva, and Saint Maurice is still the patron of the House of Savoy. General Pietro Badoglio advised King Victor Emmanuel III that he could easily sweep Mussolini and his rag-tag Blackshirt army to one side, but Victor Emmanuel decided to tolerate Mussolini and appointed him as prime minister on October 28, 1922. The king remained silent as Mussolini engaged in one abuse of power after another from 1924 onward, and did not intervene in 1925-26 when Mussolini dropped all pretense of democracy. By the end of 1928, the king's right to remove Mussolini from office was, at least theoretically, the only check on his power. Later, the King's failure, in the face of mounting evidence, to move against the Mussolini regime's abuses of power led to much criticism and had dire future consequences for Italy and for the monarchy itself. Italy conquered Ethiopia in 1936, and Victor Emmanuel was crowned as Emperor of Ethiopia. He added the Albanian crown as well in 1939. However, as Mussolini and the axis powers failed in the Second World War in 1943, several members of the Italian court began putting out feelers to the Allies, who in turn let it be known that Mussolini had to go. After Mussolini received a vote of no confidence from the Fascist Grand Council on 24 July, Victor Emmanuel dismissed him from office, relinquished the Ethiopian and Albanian crowns, and appointed Pietro Badoglio as prime minister. On 8 September, the new government announced it had signed an armistice with the Allies five days earlier. However, Victor Emmanuel made another blunder when he and his government fled south to Brindisi, leaving his army without orders. As the Allies and the Resistance gradually chased the Nazis and Fascists off the peninsula, it became apparent that Victor Emmanuel was too tainted by his earlier support of Mussolini to have any postwar role. Accordingly, Victor Emmanuel transferred most of his powers to his son, Crown Prince Umberto, in April 1944. Rome was liberated two months later, and Victor Emmanuel transferred his remaining powers to Umberto and named him Lieutenant General of the Realm. Within a year, public opinion pushed for a referendum to decide between retaining the monarchy or becoming a republic. On May 9, 1946, in a last-ditch attempt to save the monarchy, Victor Emmanuel formally abdicated in favour of his son, who became Umberto II. It did not work; the Italian constitutional referendum, 1946 was won by republicans with 54% of the vote. Victor Emmanuel went into exile in Egypt, dying there a year later. The Residences of the Royal House of Savoy in Turin and the neighbourhood are protected as a World Heritage Site. 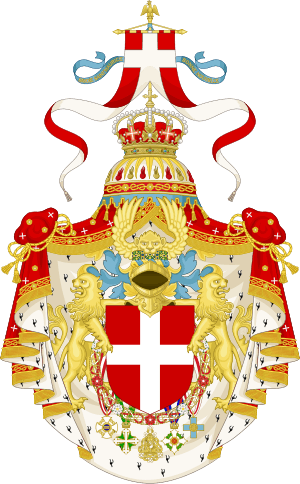 Although the titles and distinctions of the Italian royal family are not legally recognised by the Italian Republic, the remaining members of the House of Savoy, like dynasties of other abolished monarchies, still use some of the various titles they acquired over the millennium of their reign prior to the republic's establishment, including Duke of Savoy, Prince of Naples, Prince of Piedmont and Duke of Aosta. 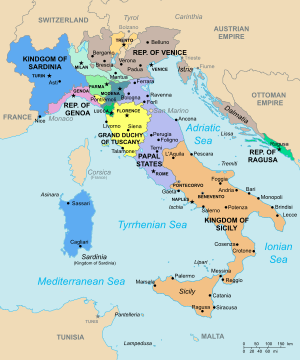 Currently the leadership of the House of Savoy is contested by two cousins: Vittorio Emanuele, Prince of Naples, who used to claim the title of King of Italy, and Prince Amedeo, Duke of Aosta, who still claims the title of Duke of Savoy. 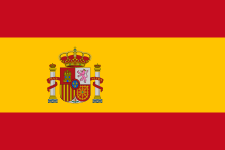 Their rivalry has not always been peaceful — on May 21, 2004, following a dinner held by King Juan Carlos I of Spain on the eve of the wedding of his son Felipe, Prince of Asturias, Vittorio Emanuele punched Amedeo twice in the face. Some of the activities of members of the House of Savoy have evoked media coverage disappointing to Italian royalists. In November 1991, after thirteen years of legal proceedings, the Paris Assize Court acquitted Vittorio Emanuele of the fatal wounding and unintentional homicide in August 1978 of Dirk Hamer, finding him guilty only of unauthorised possession of a firearm during the incident. On June 16, 2006 Vittorio Emanuele was arrested in Varenna and imprisoned in Potenza on charges of corruption and recruitment of prostitutes for clients of the Casinò di Campione (casino) of Campione d'Italia. After several days, Vittorio Emanuele was released and placed under house arrest instead. He was released from house arrest on July 20 but was required to remain within the territory of the Republic. When incarcerated in June 2006, Vittorio Emanuele was recorded admitting with regard to the killing of Dirk Hamer that "I was in the wrong, [...] but I must say I fooled them [the French judges]", leading to a call from Hamer's sister Birgit for Vittorio Emanuele to be retried in Italy for the killing. After a long legal fight Birgit Hamer obtained the full video. The story was broken in the press by aristocratic journalist Beatrice Borromeo, who also wrote the preface for a book on the murder Delitto senza castigo by Birgit Hamer. Vittorio Emanuele sued the newspaper for defamation, claiming the video had been manipulated. In 2015 a court judgement ruled in favor of the newspaper. ↑ The kingdom of Burgundy, the land of the house of Savoy and adjacent territories, Eugene Cox, The New Cambridge Medieval History: Volume 5, C.1198-c.1300, ed. Rosamond McKitterick, David Abulafia, (Cambridge University Press, 1999), 365-366. ↑ Herbermann, Charles, ed. (1913). "Savoy". Catholic Encyclopedia. New York: Robert Appleton Company. ↑ Herbermann, Charles, ed. (1913). "Piedmont". Catholic Encyclopedia. New York: Robert Appleton Company. ↑ Introduction:The Sabaudian Lands and Sabaudian Studies, Matthew Vester, Sabaudian Studies: Political Culture, Dynasty, and Territory (1400–1700), ed. Matthew Vester, (Truman State University Press, 2013), 1. ↑ Sabaudian Studies, Matthew Vester, Sabaudian Studies: Political Culture, Dynasty, and Territory (1400–1700), (Truman State University Press, 2013), 6. ↑ Michael Mallett and Christine Shaw, The Italian Wars, 1494-1559, (Pearson Educational Limited, 2012), 154. 1 2 Michael Mallett and Christine Shaw, The Italian Wars, 1494-1559, 230-231. ↑ By Constitutional Amendment, after some attempts to do so in another way: see (Italian) Né l'Unione europea, né i diritti dell'uomo possono aprire le frontiere a Casa Savoia, in Diritto&Giustizia edizione online, 2001, anno II, n. 36. ↑ Hooper, John (28 May 2004). "Right royal punch-up at Spanish prince's wedding" – via The Guardian. ↑ McIntosh, David (December 2005). "The Sad Demise of the House of Savoy". European Royal History Journal. Eurohistory. 8.6 (XLVIII): 3–6. ↑ "Arrested Italy prince goes from palace to jail". 17 June 2006. ↑ (Italian) Vittorio Emanuele, cimici in cella "Ho fregato i giudici francesi"
↑ "BBC NEWS - Europe - Italian 'prince' weds actress". ↑ Anales De La Real Academia Matritense De Heráldica y Genealogía VI (2000–2001), Vol. VI, p. 230, footnote 116. ↑ Amedeo padre di Ginevra. Lo dice il Dna. Corriere.it (18 February 2015). Retrieved 2015-08-17. 1 2 "Ordine Supremo della Santissima Annunciata". Ordini Dinastici della Real Casa Savoia. ↑ "Ordine Militare e Religioso dei SS. Maurizio e Lazzaro". Ordini Dinastici della Real Casa Savoia. ↑ "Ordine Civile di Savoia". Ordini Dinastici della Real Casa Savoia. ↑ "Ordine della Corona d'Italia". Ordini Dinastici della Real Casa Savoia. ↑ Hooper, John (23 June 2006). "The fall of the house of Savoy" – via The Guardian. ↑ Hadjilyra, Alexander-Michael (2009). The Armenians of Cyprus. New York: Kalaydjian Foundation. p. 12. ↑ Velde, Francois R. "Royal Styles".